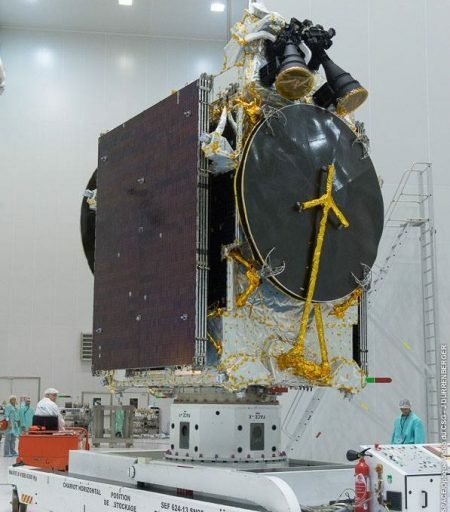 Telkom 3S is an Indonesian communications satellite built by Thales Alenia Space and operated by state-owned PT Telekomunikasi Indonesia to replace the Telkom 3 satellite that ended up in a useless orbit after a 2012 Proton/Briz-M launch failure. Telkom 3, based on an ISS Reshetnev Ekspress satellite platform, blasted off in August 2012 in a rare dual-payload mission for the Russian Proton/Briz-M launch vehicle. 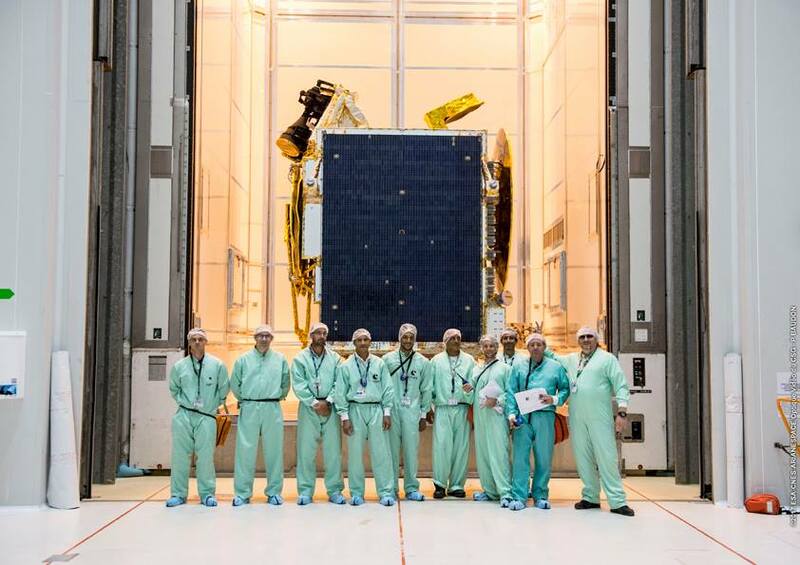 Set for a direct climb into Geostationary Orbit, Briz-M was set for a four-burn mission lasting nine-and-a-half hours. However, only seven seconds into its planned 18-minute third burn, Briz-M experienced an emergency shutdown upon which the satellites were released into an orbit of 267 by 5,000 Kilometers with no prospects of reaching their operational orbit 35,800km above the equator. 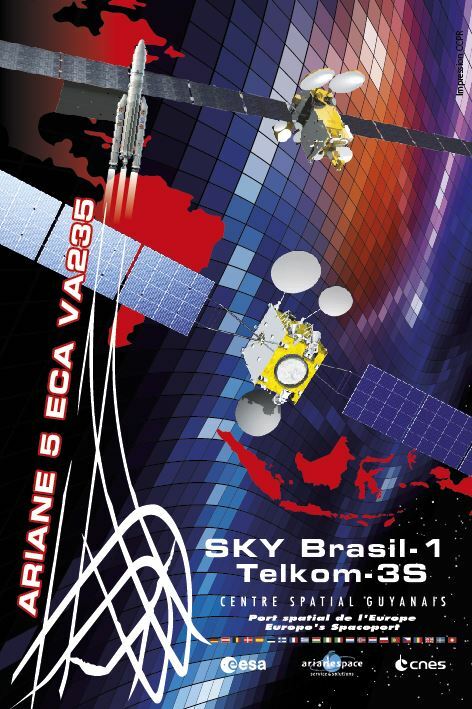 Thales Alenia received the order for Telkom 3S in July 2014 including manufacture of the satellite, launch and early orbital positioning, ground support equipment and training for Indonesian engineers on site. 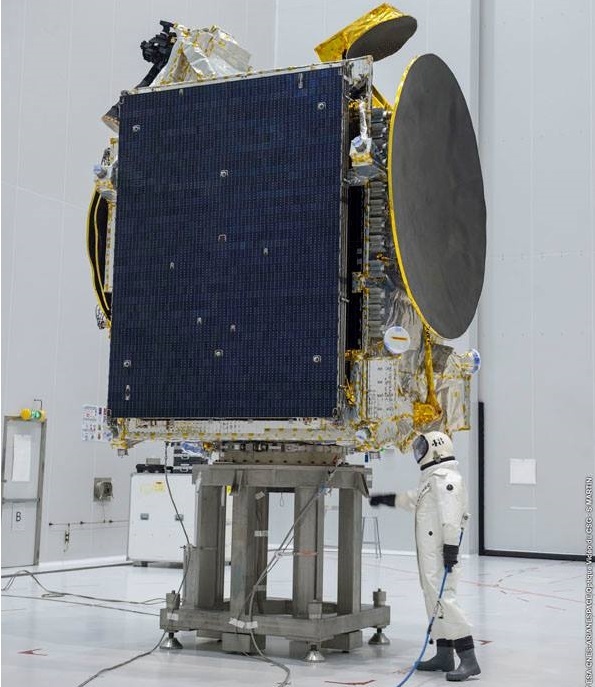 Telkom 3S is outfitted with a hybrid communications payload comprising 24 standard C-Band transponders, 8 extended C-Band transponders and 10 Ku-Band transponders. The satellite will support high-definition television distribution, mobile communications, and remote GSM/Internet services across the Indonesian territory. 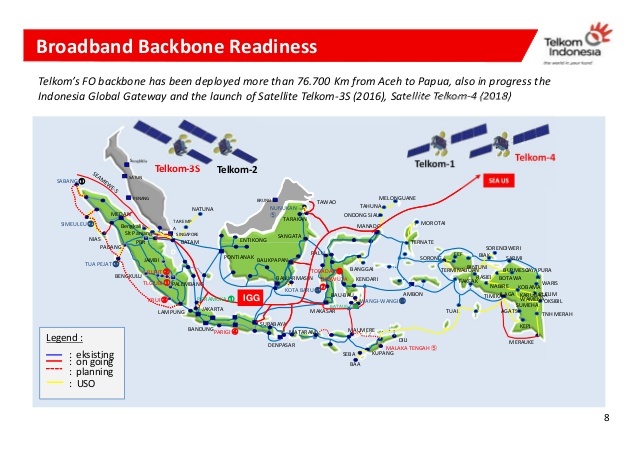 The Ku-Band beams are mainly used for national coverage of Indonesia, the C-Band coverage zone stretches across a large part of Southeast Asia and the extended C-Band transponders are focused on Indonesia and part of Malaysia. 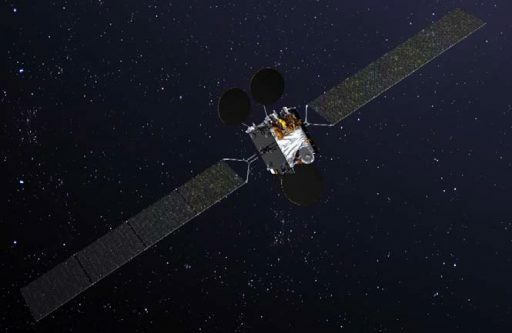 The 3,550-Kilogram satellite is based on the Spacebus 4000B2 platform, 1.8 by 2.95 by 2.86 meters in size when in its stowed launch configuration. It has been designed for a service life of at least 16 years, designated for an orbital position of 118 degrees East in Geostationary Orbit. Spacebus-4000B2 is part of the Spacebus-3000/4000 series developed by Aerospatiale (now Thales Alenia) in the 1990s to cover a range of satellite masses and payload accommodations ranging from medium-sized satellites with a mass of 3,000kg to high-powered systems up to 5,900 Kilograms. The bus can support up to 12kW of payload power and uses a new avionics system with a 100-Volt power bus. A chemical propulsion system is used for apogee-raising and stationkeeping in Geostationary Orbit for a minimum service life of 16 years. The satellite uses an S400 main propulsion system and sixteen S10-18 bi-propellant attitude control thrusters, each delivering 10N of thrust. 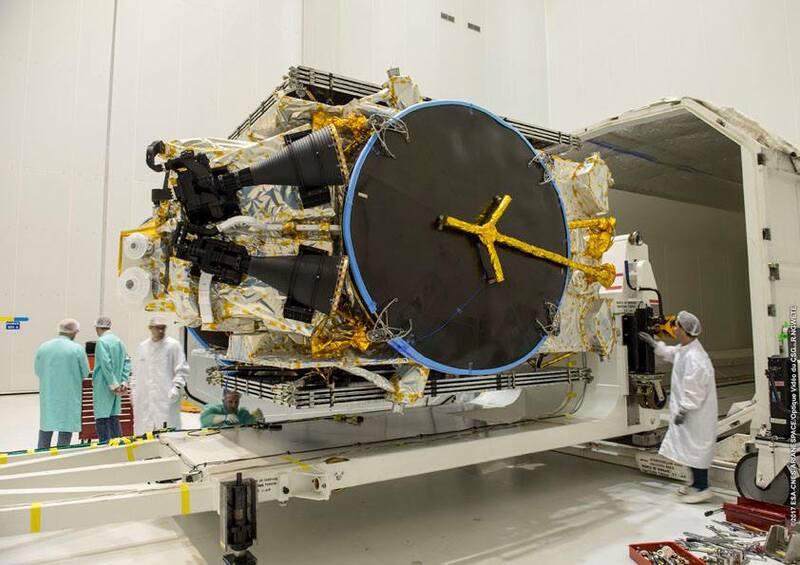 The S400 series built by Aitbus Safran Launchers are bi-propellant engines using Monomethylhydrazine and Mixed Oxides of Nitrogen as propellants. Depending on the version used, S400 provides 420 to 425 Newtons of Thrust with a specific impulse of 318-321 seconds. 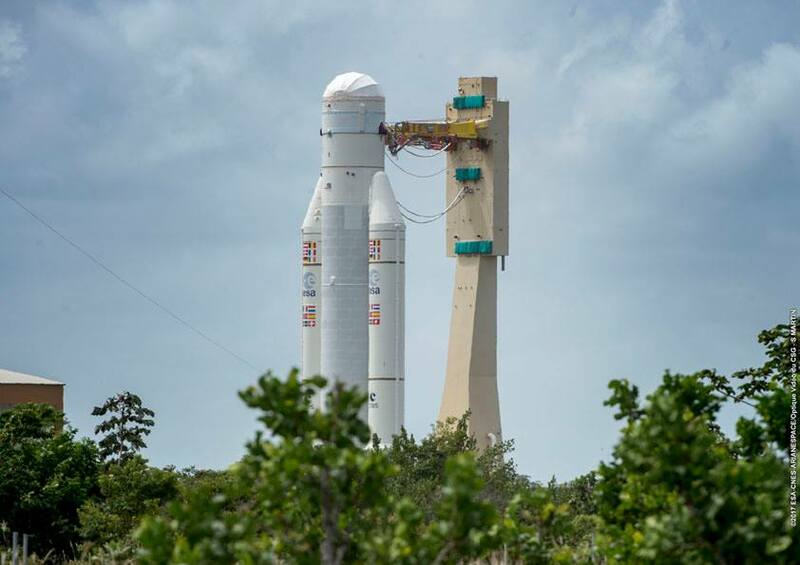 Copyright © 2019 Ariane 5 VA235. All rights reserved.